This delicious cauliflower soup recipe is creamy without the addition of cream—and supplies a cup of vegetables in every serving. 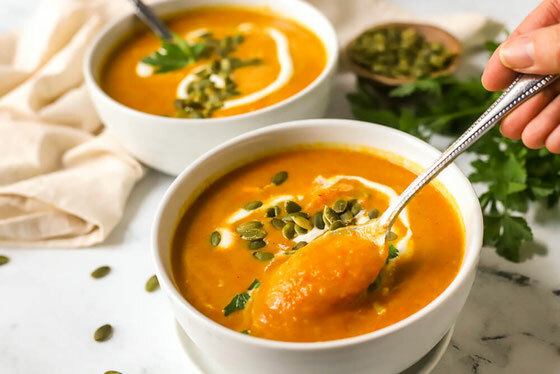 I love a good bowl of soup any time of year—especially now, when the air is turning colder and warm soup is so soothing. 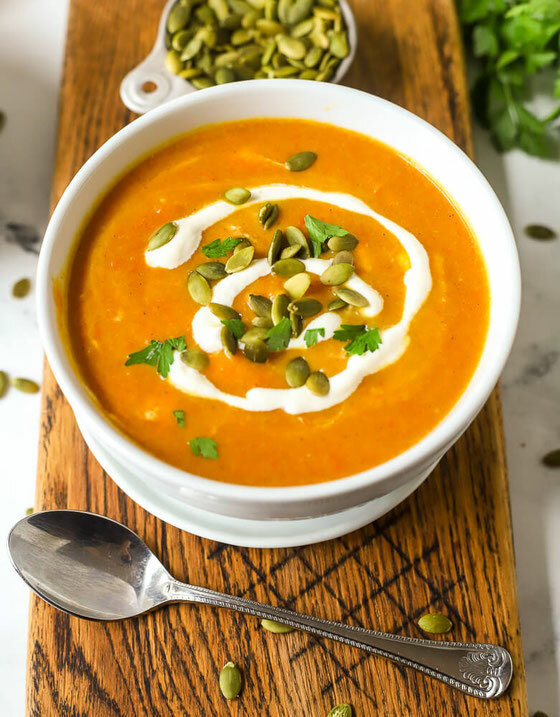 Of course, I'm always thinking about how I can pack in extra nutrition into my food, so I set out to make this soup a hearty, nutrient-filled dish. Then I topped the soup with plain Greek yogurt and dry-roasted pumpkin seeds for some extra flavor, crunch, and protein. I love that this soup is creamy and yummy—yet contains no actual cream! 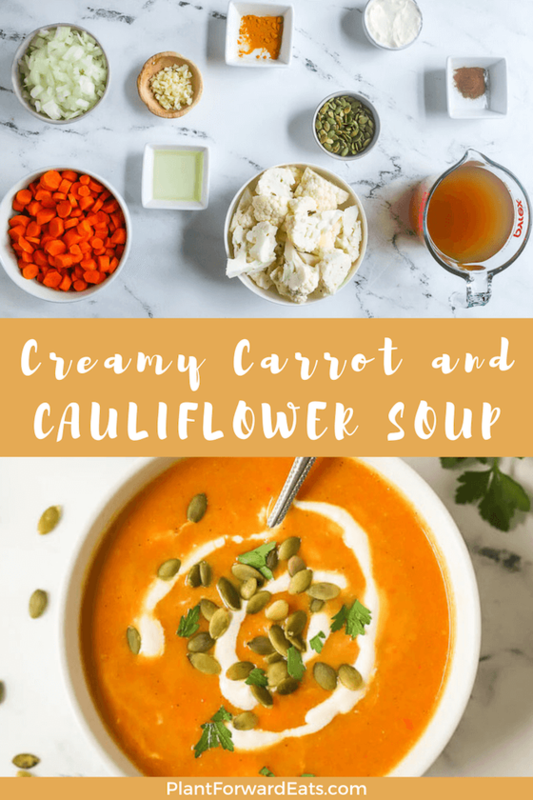 You'll love this healthy cauliflower soup! In a soup pot, heat 1 Tablespoon oil over medium heat. Add onion and garlic, stirring occasionally until softened, about 3 minutes. Stir in carrots and cauliflower, along with salt and remaining olive oil. Add turmeric and cinnamon. Cook about 5 minutes, stirring frequently. Cover vegetables with broth. Place lid on pot, and bring to a boil over high heat. Reduce heat to maintain a lively simmer, and cook until vegetables are very tender, about 30 minutes. Using an immersion blender, puree the soup until smooth. (Alternatively, puree the soup in a blender in batches.) Serve hot or cold in a small bowl. Top each serving with black pepper, 2 teaspoons yogurt, and 2 teaspoons pumpkin seeds. Enjoy! Serves 6. What are your thoughts on this topic? What’s your favorite veggie-centric soup? What are your favorite soup toppings?